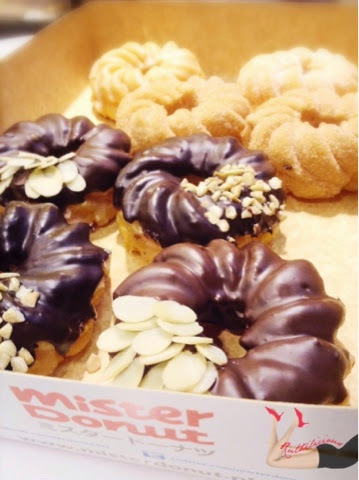 Mister Donut recently invited me to visit the Mister Donut Cafe to try their Cookie Butter Collection. The Cookie Butter flavor seems like the must-have spread for toast and pancakes. The sweet-nutty cinnamon flavor works like an addicting potion that got the whole world craving (except me). I got curious about the flavor, but I never jumped into the moshpit of cookie butter fanatics. I stayed loyal with chocolate hazelnut flavor for my spread. But I have to be honest that I got curious about the the new donut offerings - so I went. I indulged. The Pon De Ring, number 1 original Japanese Donut, (which was launched last year), is given a nice twist with cookie butter topped with sugar (Php 39 - middle left). It is light, airy and chewy with just the right sweet taste. 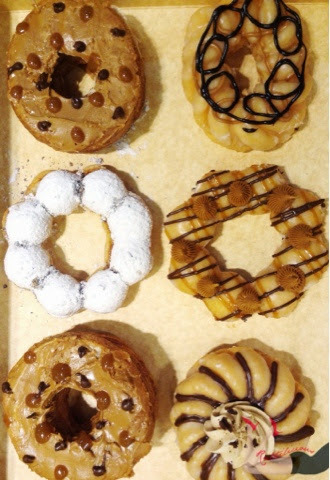 For those who want more flavor, there's Pon De Ring with cookie butter twirls crisscrossed with caramel and chocolate lines (Php 49 - middle right). 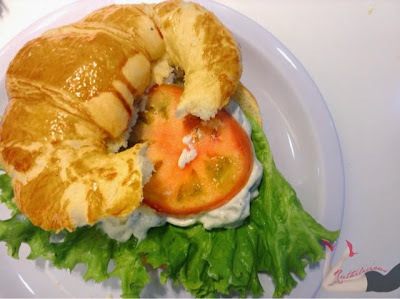 The Do-ssant is also given a Cookie-Butter twist with two options Creamy (Php 70) and Crunchy (Php 75). I love the Do-ssant Cookie Butter Donuts! It has a mocha filling inside and generous Cookie Butter spread on top with caramel and chocolate droppings (top and bottom left). If you guys are fans of Crocnuts, the Do-ssant Cookie Butter Donuts are for you! 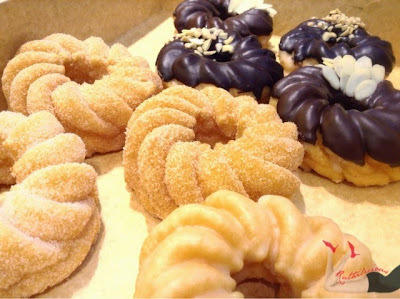 The French Crullers are also cookie-butter-ized! The crown-shaped donut with that melt-in-your-mouth texture, is given a delicious interlace of cookie butter and chocolate (Php 39). 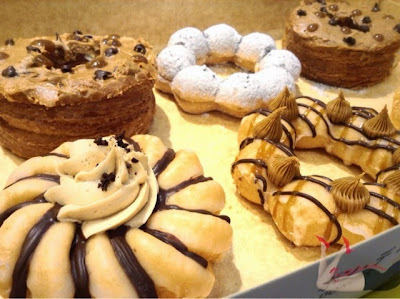 While the Crunchy French Cruller (Php 49) has a magnificent cookie butter cream dollop in the middle with chocolate twirls on the side topped off with petite chocolate shavings. This is also my favorite from the collection! Speaking of French Crullers - I have to introduce the French Crullers to you guys. It is the new collection joining the Mister Donut's donut roster. So looks like the French bakers are serious in making unique pastry treats and we are not complaining. I love that these French Crullers are not cruel, and they are light and chewy. 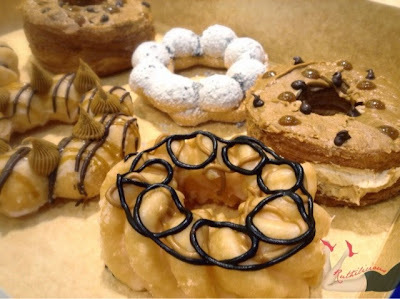 The French Crullers come in 5 flavors - Glazed, Sugar-Based, Cinnamon (Php 29 each), Almonds in Milk Chocolate and Cashew Nuts in Dark Chocolate (Php 39 each). I took the donuts home to share with my parents, and the French Crullers (and even the Cookie Butter Collection) remained chewy and light. We stored them inside the fridge, and its texture and taste remained the same. It is not like most of the other donuts that go stiff and flaky. I love the Cashew Nuts in Dark Chocolate the most! You can re-heat it in the microwave for 5 seconds for that creamy ganache experience. These croissant sandwiches give good value for money. 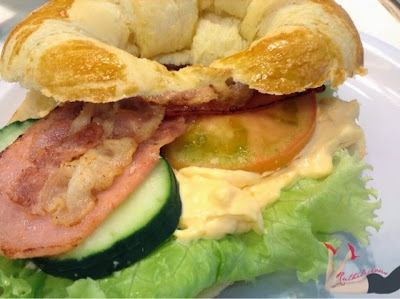 I love how fresh and crispy the vegetables are in the sandwich. Something most of the quick service restaurant overlooked when serving sandwiches and salads. 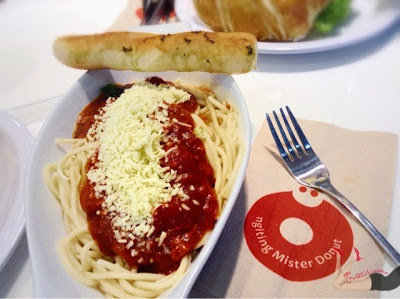 Mister Donut Cafe in Greenhills is the first cafe venture of Mister Donut, It has a good menu offerings and cozy ambiance (with really comfy couches and seats). 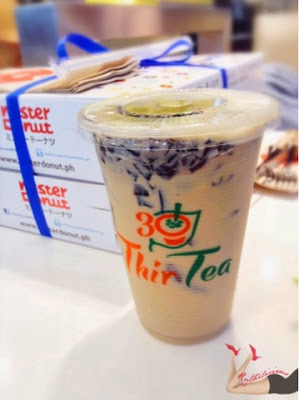 A little more dash and pinch of personalized service and I know it can compete well with other cafes and coffee shops. Visit the Mister Donut Cafe (this cafe still got the best coffee brew!) to get your Cookie Butter and French Crullers Collection. They are available per box, per dozen or piece. 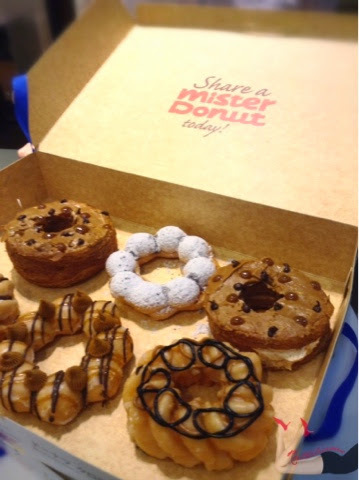 Have you guys tried the Mister Donut new offerings?